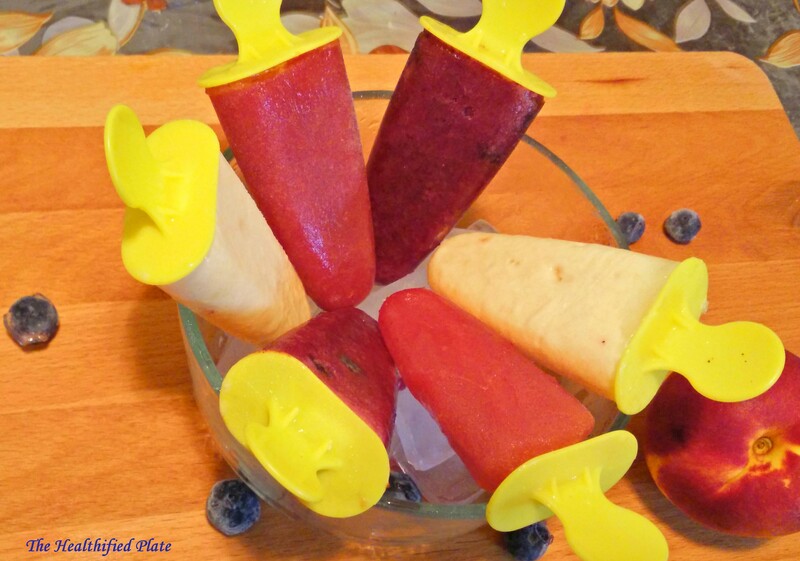 There is nothing that can beat the summer heat like cool and refreshing Fruit Popsicle. 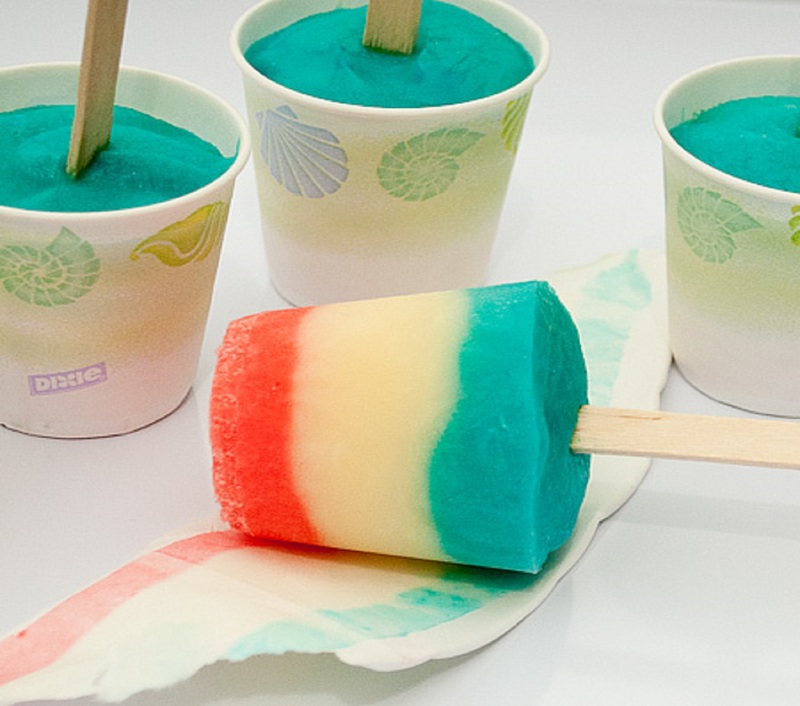 One summery afternoon, to beat the boredom of my tiny tot, I pulled out ice pop molds and some fruits that are lying around in the refrigerator and decided to make some colorful and delicious ‘Ice Lollies’ (as my daughter calls it). 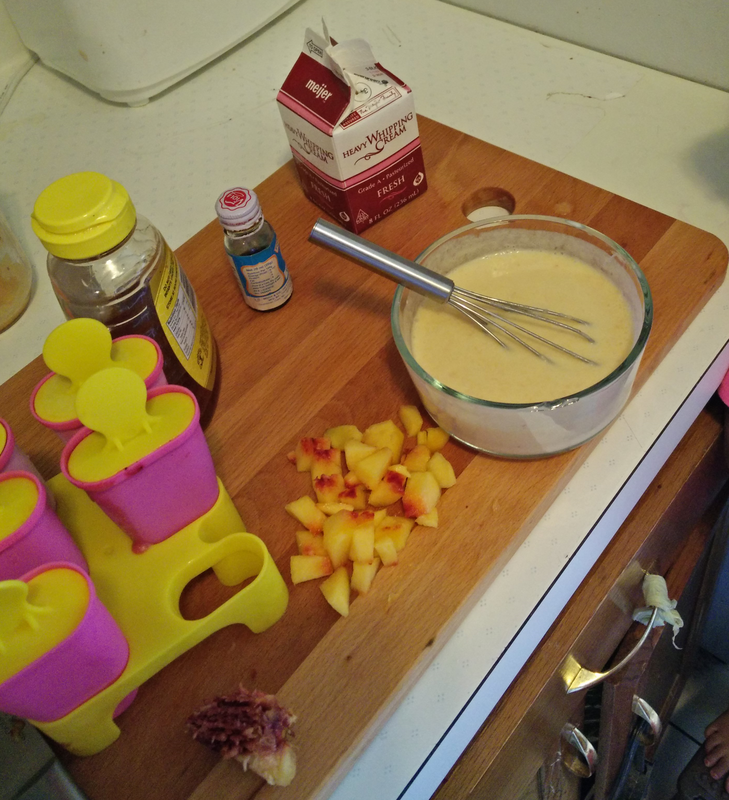 She had so much fun helping me with it and says “it is easy peasy lemon squeezy to make, mommy”. My whole family enjoyed these frozen treats and it can’t get any better on a summery day. 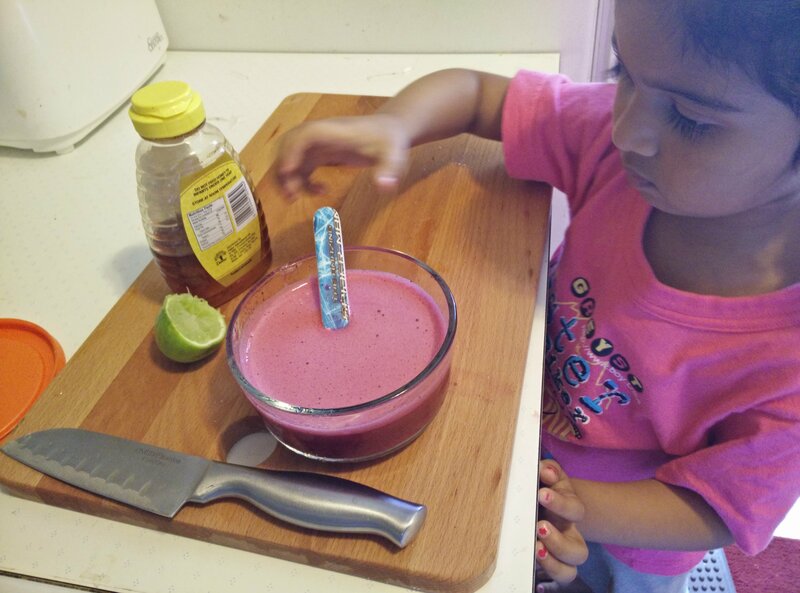 These homemade pops are more delicious and nutritious than the store brought ones, and moreover, you will know what exactly goes into them. The options are endless, but I made three varieties; Pure Strawberry, Blueberry Mojito and Peach Creamsicle. 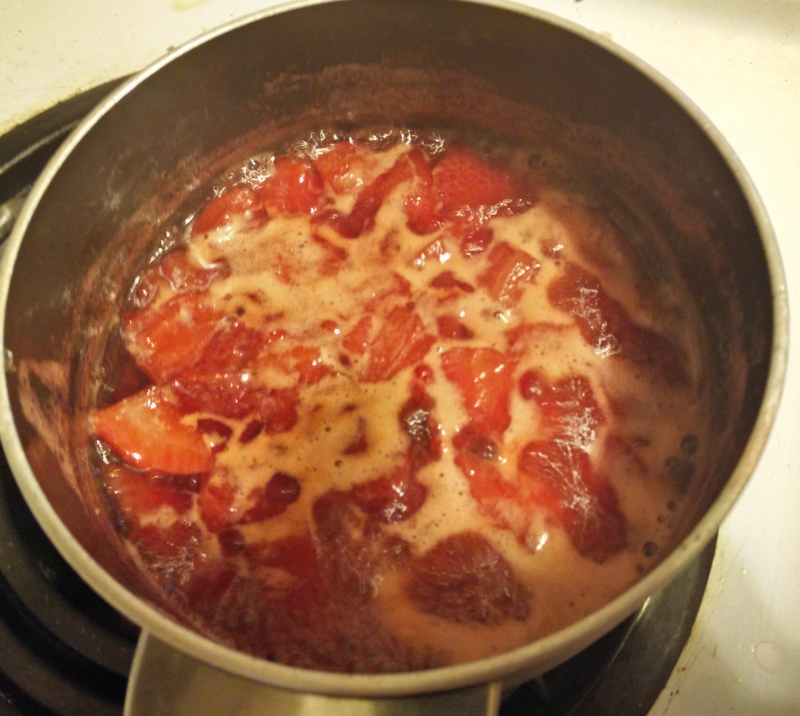 There was some leftover strawberry coulis, which I actually made to top on the panna cotta. I diluted it by adding lemon and water and freezed it to make strawberry ice pop. Lemon, actually brings out the flavor of any fruit like salt brings out the flavor of food. 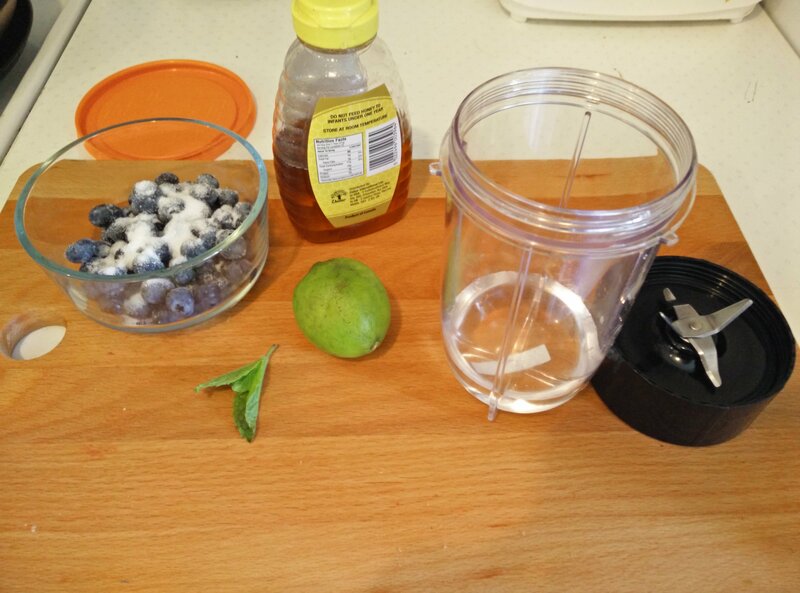 For blueberry pop, I just blended some frozen blueberry, lemon, sugar, honey with few mint leaves in the blender and poured it in the molds. 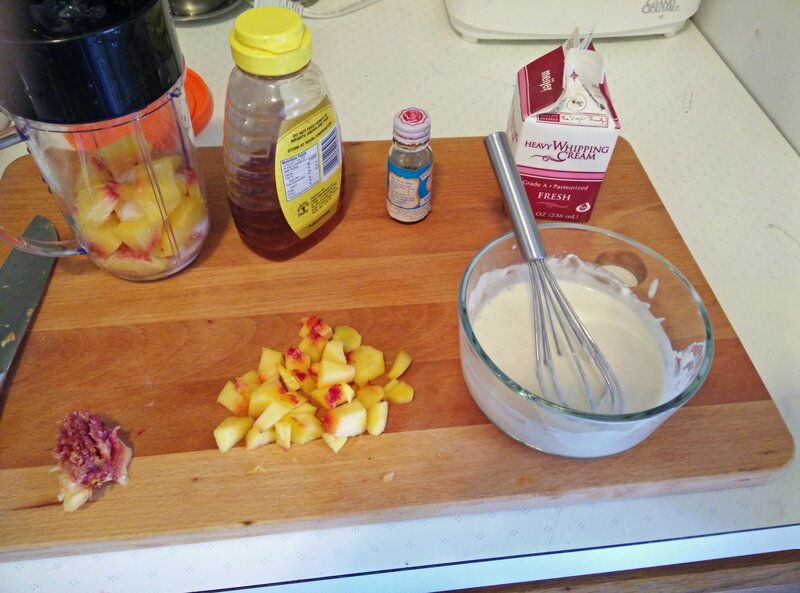 Peach Creamsicle was liked by grown ups and I made it by adding some cream, yogurt, peach pulp and honey. Try these delicious and easy Popsicle recipes at home with any fruits you have and share your interesting combinations here. And if you don’t have molds use ice trays or disposable paper cups as shown in the below pictures. 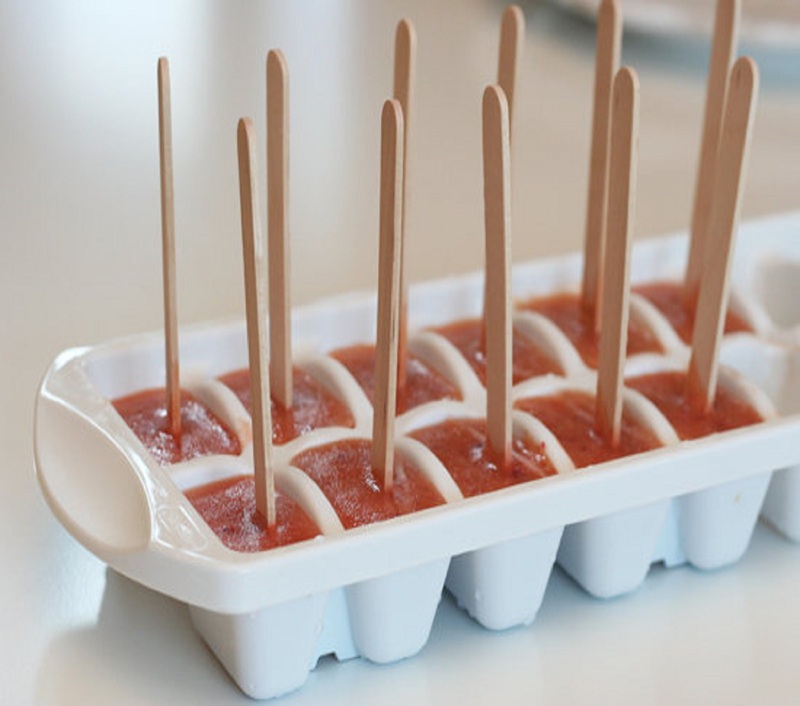 If using ice trays, freeze without inserting sticks for two hours and then carefully insert sticks and refreeze. Freeze for six hours or overnight. If using ice trays, freeze without inserting sticks for two hours and then carefully insert sticks and refreeze. Freeze for six hours or overnight. If using ice trays freeze without inserting sticks for two hours and then carefully insert sticks and refreeze. Looks like such a fun thing to prepare and serve! I love your blog, your posts are amazing and everything looks so good! I just followed, it would be great if we can support each other 🙂 I can’t wait to read more.